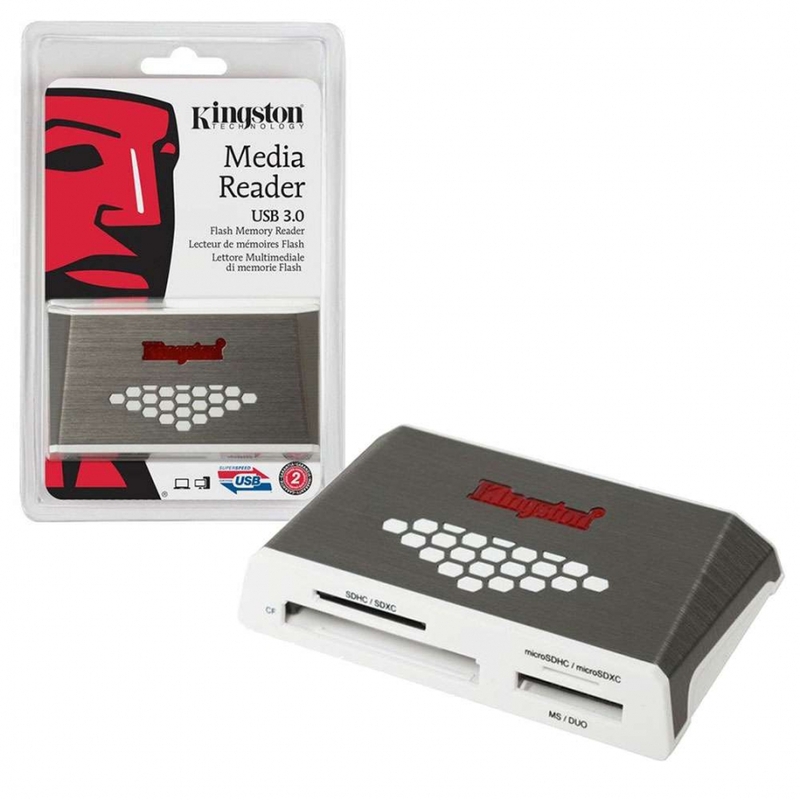 Kingston’s USB 3.0 High-Speed Media Reader reads all major card format types and supports UHS-I and UHS-II SD card speeds, making it ideal for photographers, ideographs, design studios and printing houses. 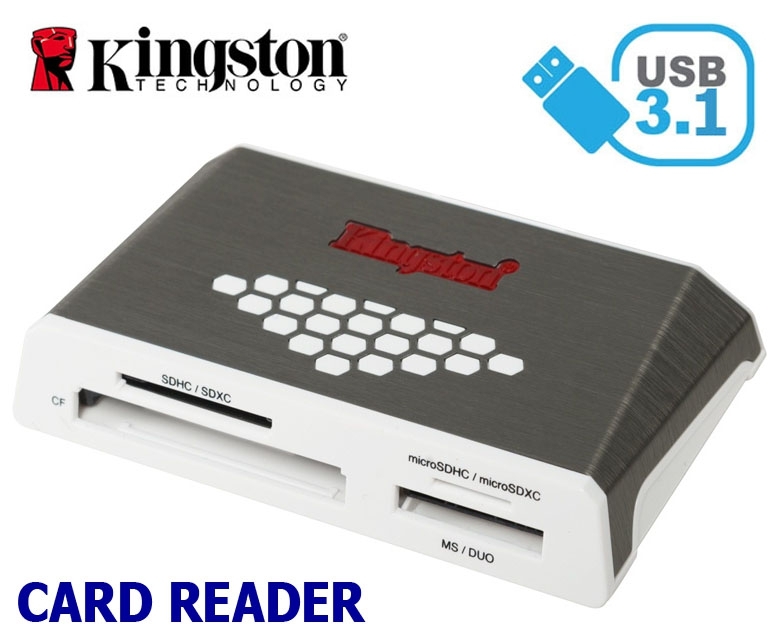 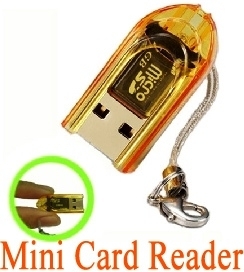 This versatile reader lets you easily transfer photos, videos, music and other data between your favorite cards and your PC. 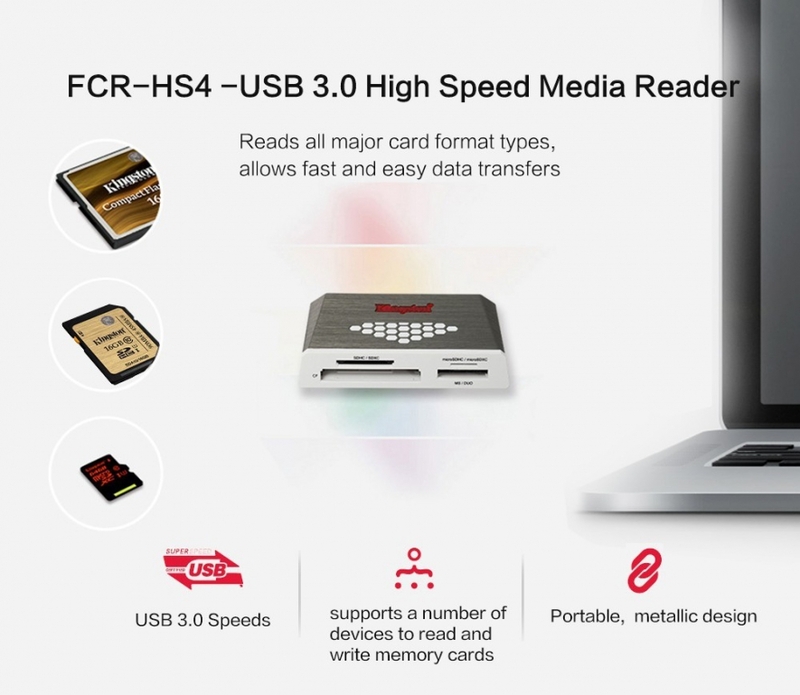 The USB 3.0 media reader has a sleek design, with a white body and brushed nickel case in a small form factor, and an easily read, built-in LED indicator. 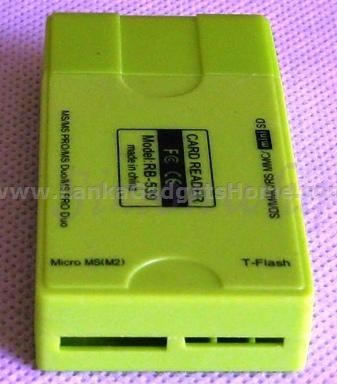 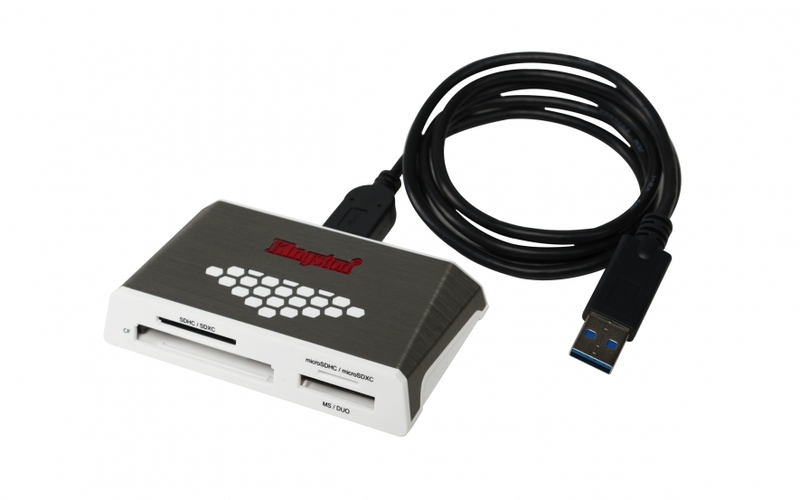 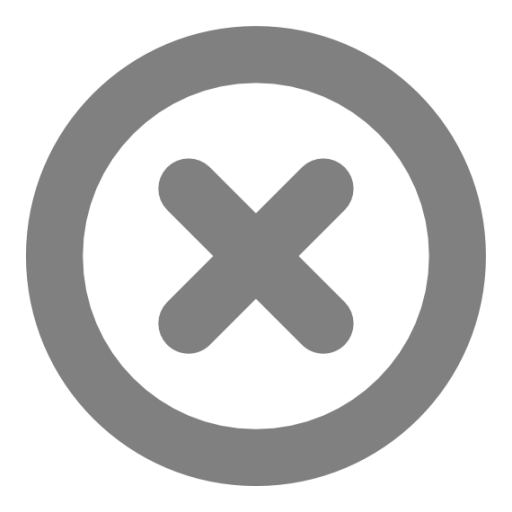 It’s backwards compatible with USB 2.0 ports, which is convenient for systems with limited USB 3.0 ports. 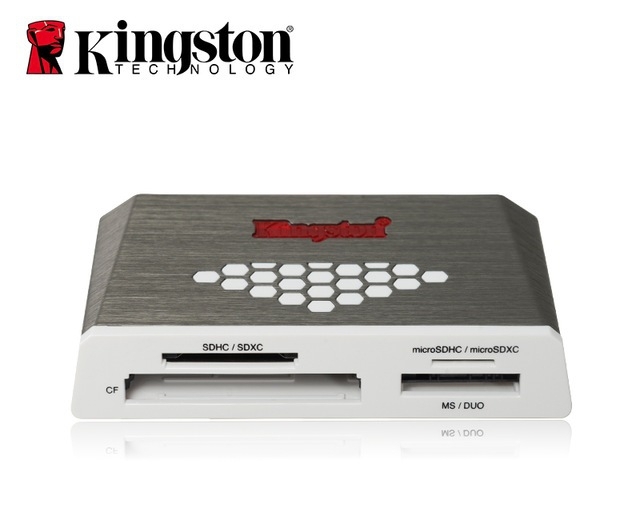 For peace of mind, it’s covered by a one year warranty, free technical support and legendary Kingston® reliability.